Yesterday we finished our recent mountain gorilla photography tour in beautiful Uganda where we had some outragous wildlife encounters. Massive thanks to Sandra, Jill, Russell, Marcel, Carlijn and Ann for being such great fun; I’m missing you already as you head on with your onward travels. Beautiful landscapes, a mind boggling array of wildlife and warm hearted people make Uganda one of my favourite countries in the world. Mountain gorillas first drew me to Uganda many years ago so I’ll start with some photos of these from this trip. 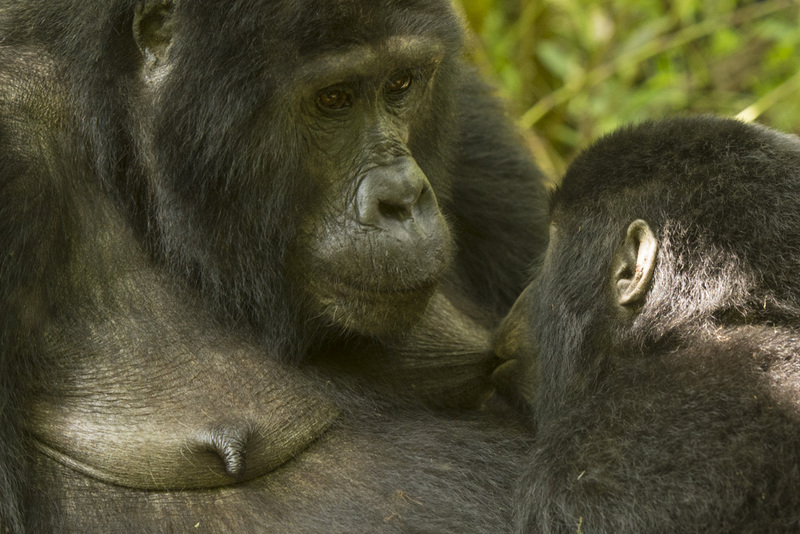 There’s further information on my future mountain gorilla photography tours here. 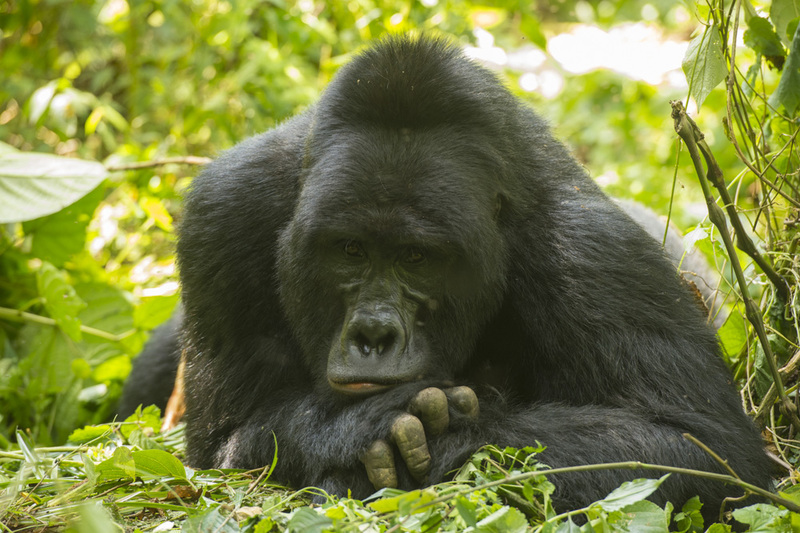 I always make a donation to Gorilla Doctors from these tours whose incredible work is helping to ensure that mountain gorilla numbers are increasing at about 4% per annum. 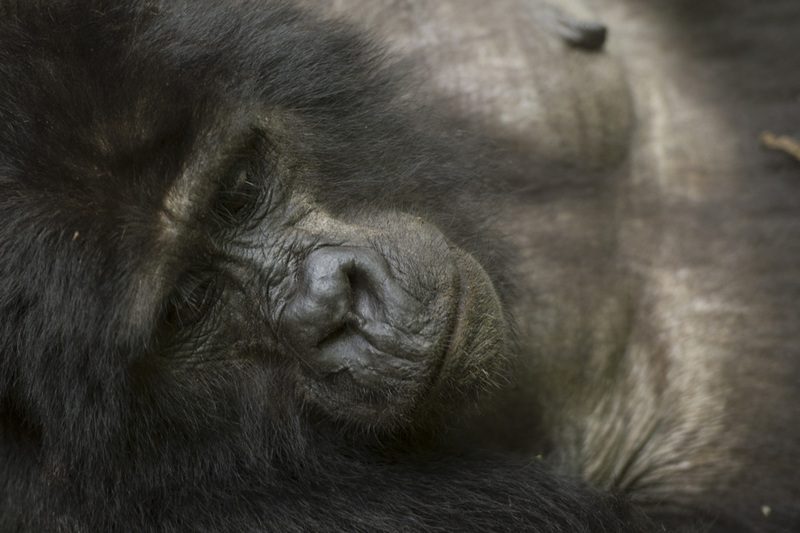 The last census showed a total population of 1004 gorillas which is higher than for several decades. Dr Ricky came and gave us a talk about their work the evening before our first trek and then joined us with the gorillas a couple of days later. 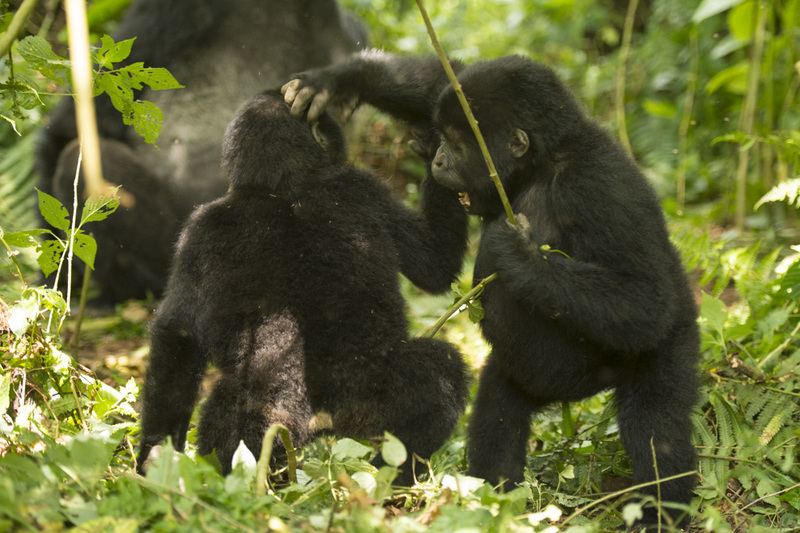 Our first gorilla encounter was with Bweza group which currently number 14. 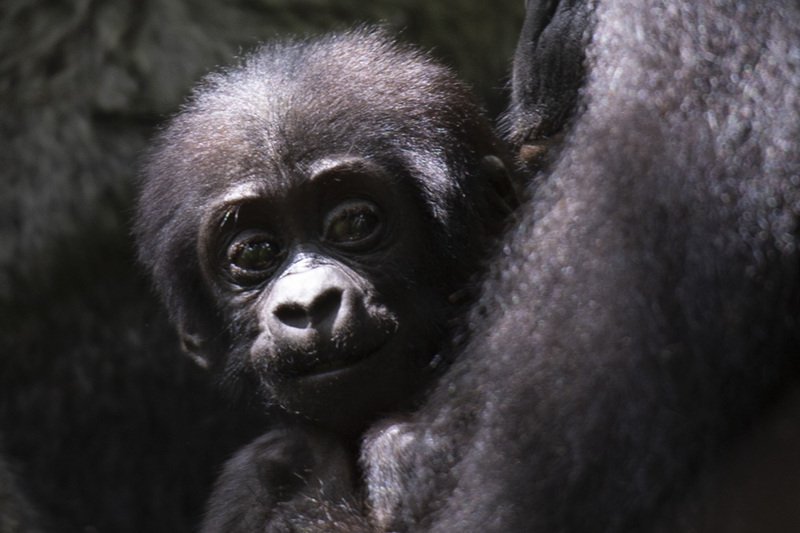 Bweza group has three Silverbacks and three infants including a 3 month old baby and we had fantastic sightings of every member of the group. In the briefing before going to see mountain gorillas you are instructed to try and keep and a distance of about 7 metres from them. In reality this is hard as if a Silverback charges you have to hold your ground which led to a very close encounter on this trip ! 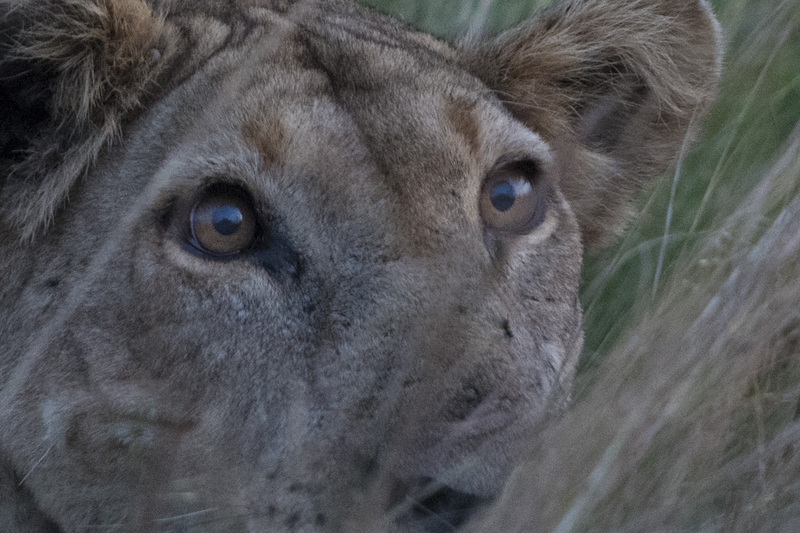 And we watched them at close quarters including a bout of play fighting. 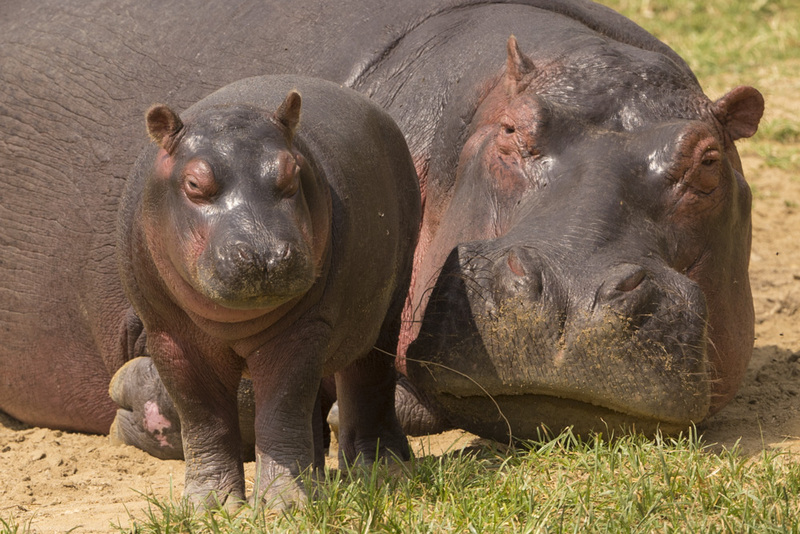 One of the mothers was so relaxed that she lay down and had a power nap right in front of us. 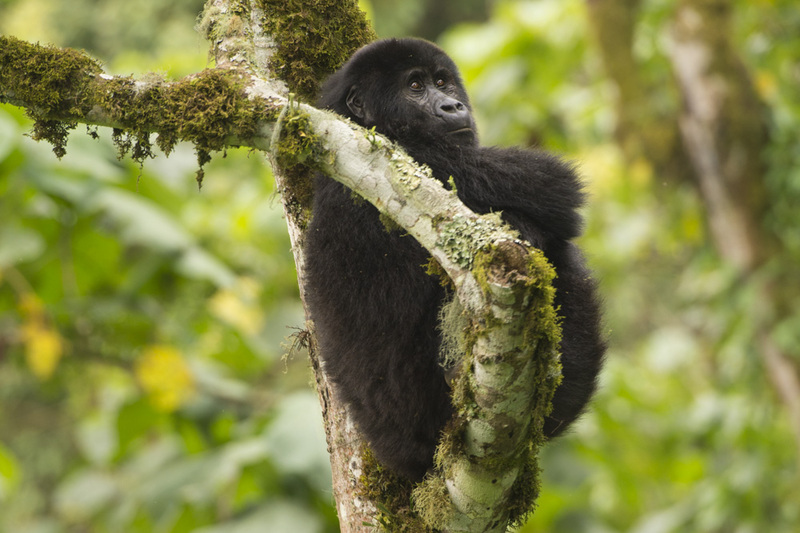 Above is a short video clip of some of our time with the Bweza group of mountain gorillas. You’ll see we had a particularly close encounter with the Silverback. Although you try to keep a distance of 7 metres away from mountain gorillas, if the Silverback comes towards you like this you have to hold your ground. Our second gorilla encounter the following day took us up to the high plateax of Bwindi to meet Kahungye group which currently number 22 individuals. 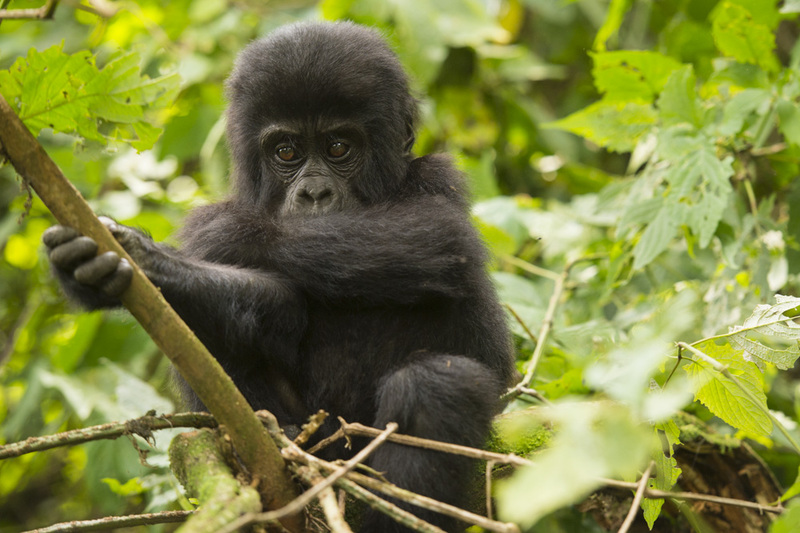 This eight month old baby of Kahungye group was extremely curious and came and sat barely three metres away to observe its human visitors. 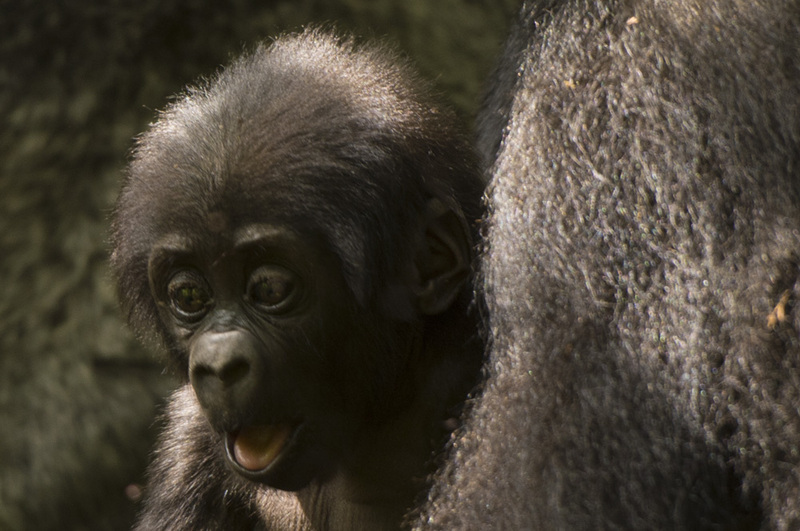 Before beating its chest which young gorillas learn from mimicking the Silverback. 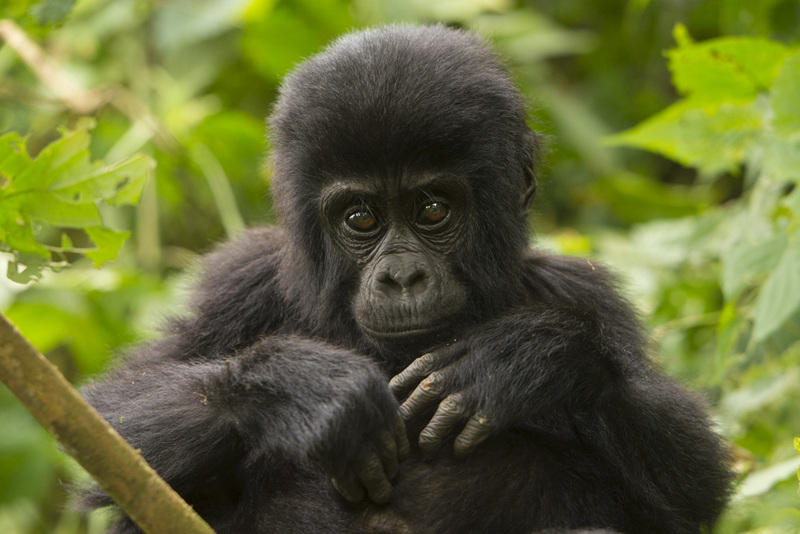 In total we saw 13 of the gorillas from this group on this trek including all three Silverbacks and several infants. On my mountain gorilla photography tours we always do two chimpanzees treks in different locations. 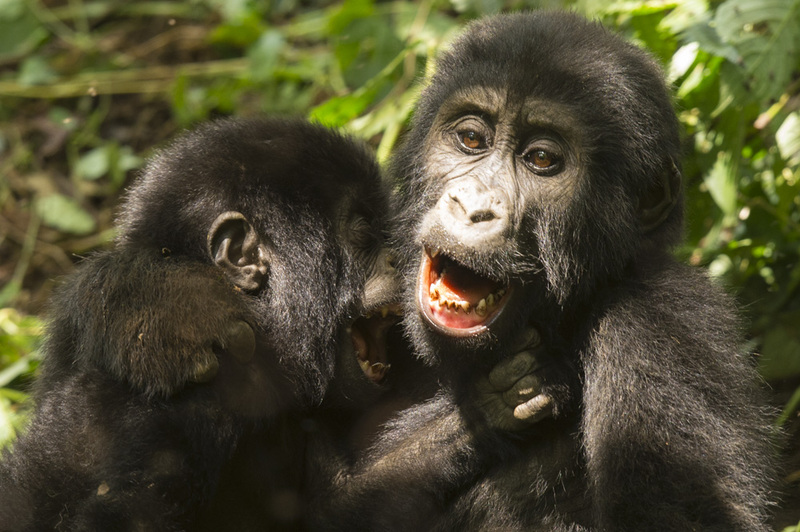 Our first in Kibale forest yielded some extraordinary close encounters with these great apes. Two days later we walked down into Kyambura gorge which is a 14 km long forested rift in Queen Elizabeth National Park. 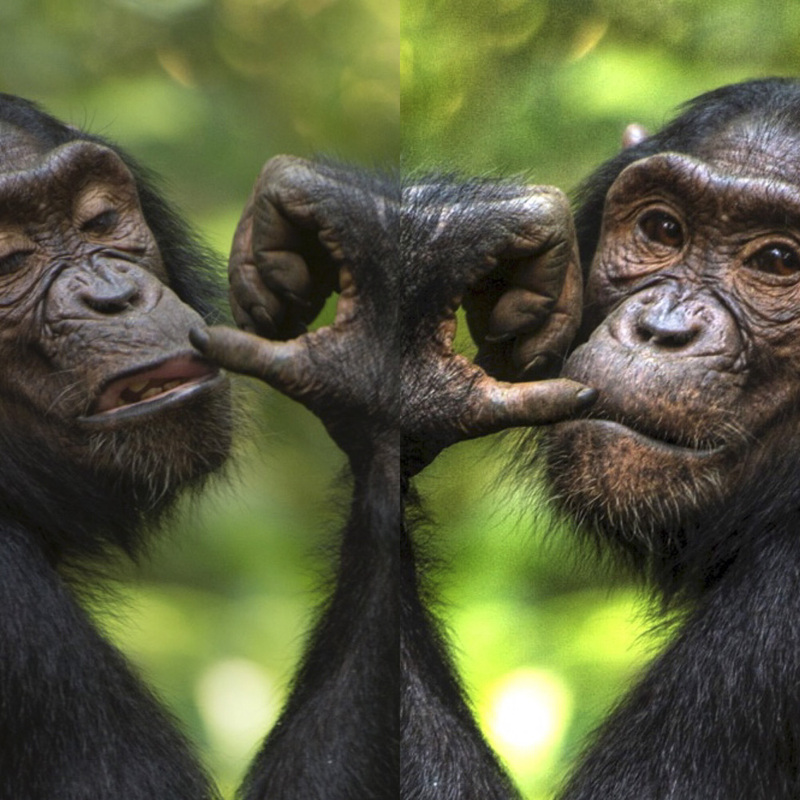 Only 22 chimpanzees live here, isolated from the rest of the world. 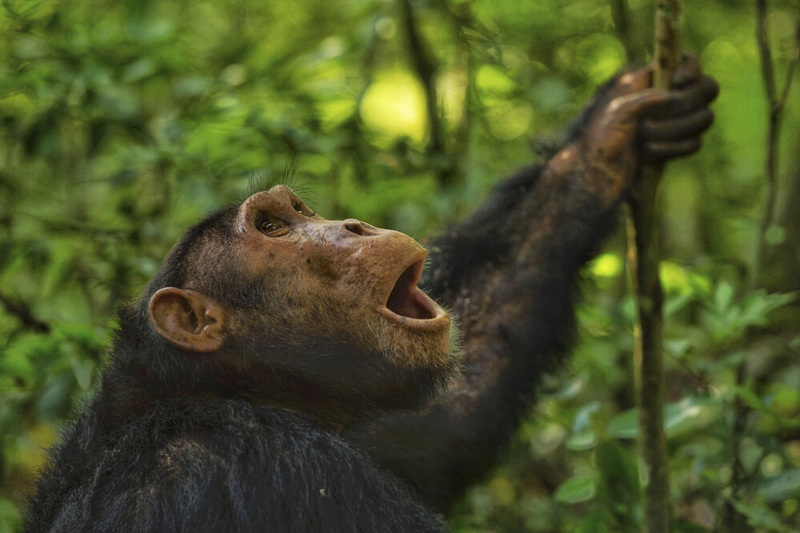 From the top of the gorge we heard the sounds of chimps which gave us a good clue to their location. Walking down into this gorge is like exploring a lost world. This was the quickest I’d ever seen the chimpanzees here as we found them within minutes of arriving at the foot of the gorge. 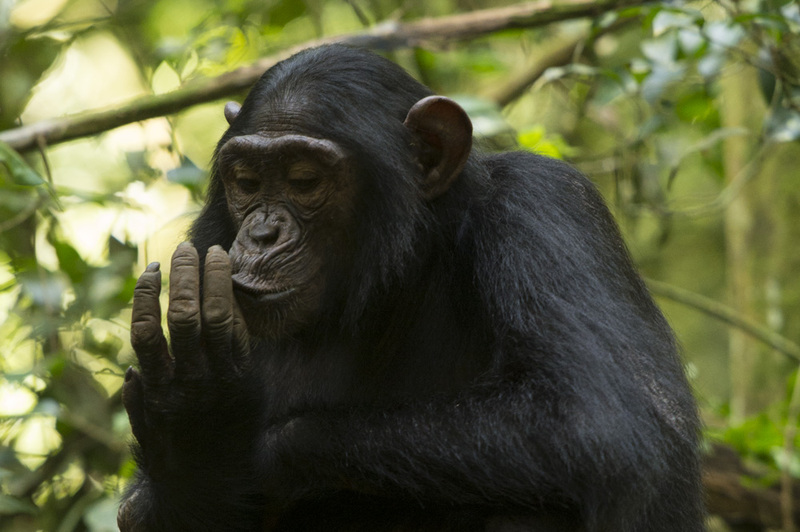 A chimpanzee in Kyambura gorge in a pose that I can only describe as relaxed. 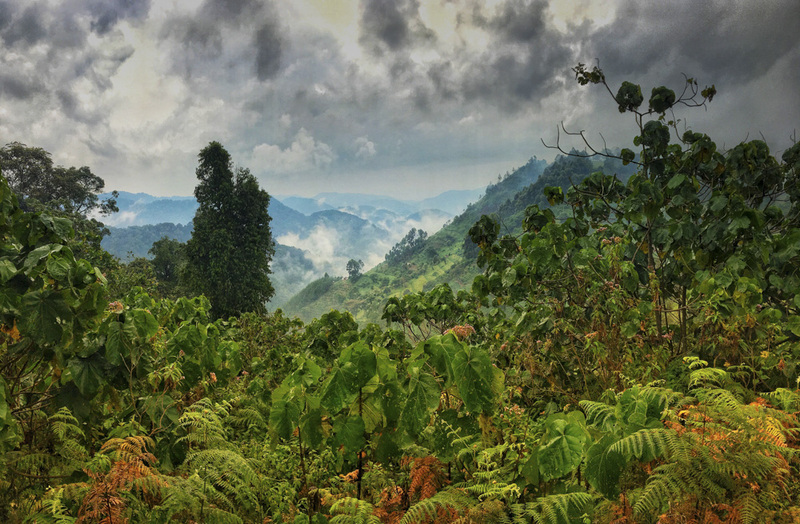 One of the many things I love about Uganda is how the landscapes change in such a short distance. 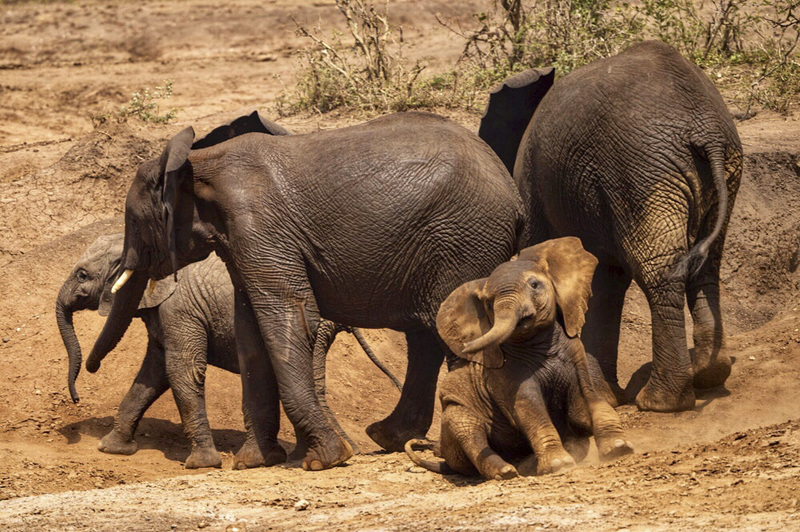 Within four hours of leaving Kibale forest we’d dropped down onto the vast Savannah of Queen Elizabeth National Park. 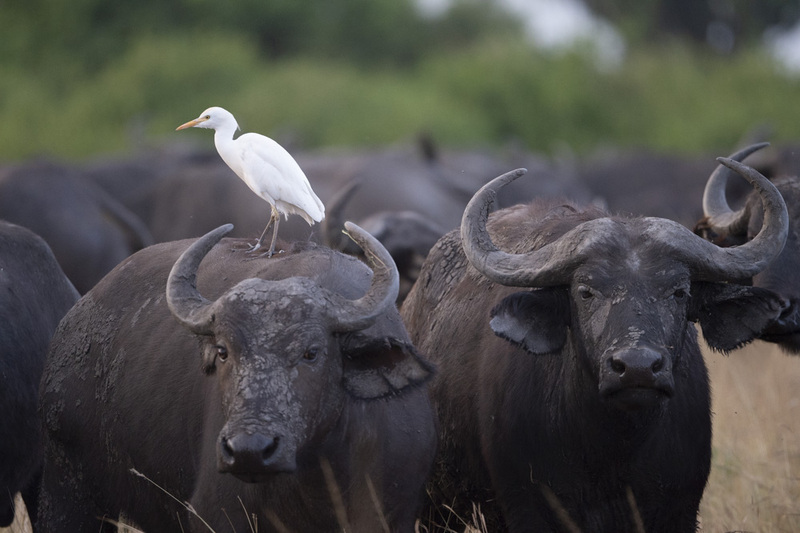 Our Kizinga channel boat trip always yields a staggering amount of wildife at close quarters. 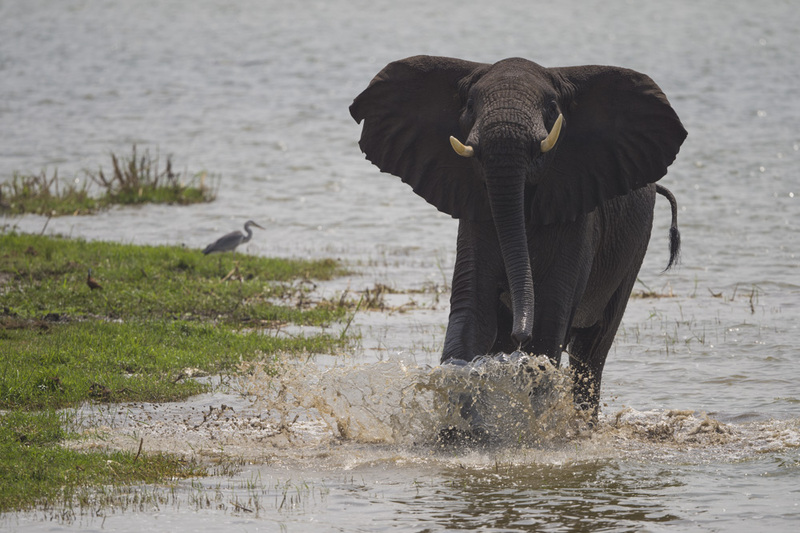 We saw large amounts of elephants, buffalo, hippos, crocodiles and scores of bird species. 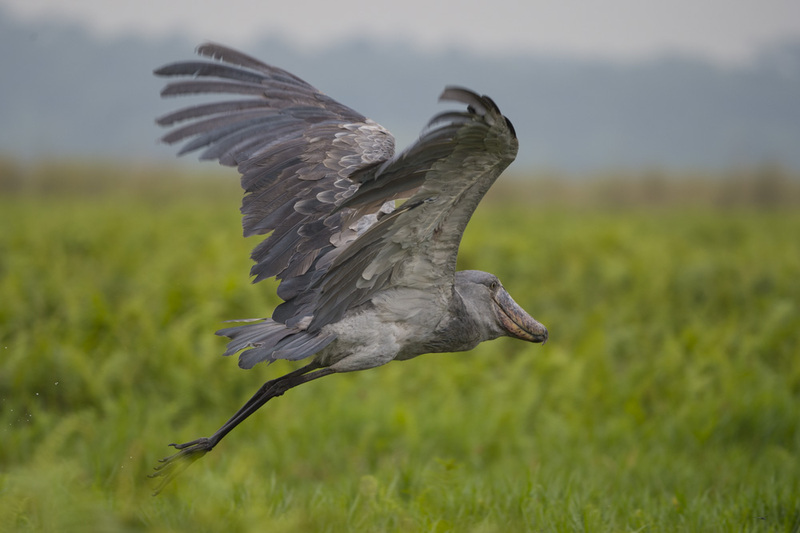 I’ve still got a 100% record in finding Shoebills in Mabamba swamp and on this trip we had one of my best ever sightings. A shoebill sitting in the swamp very close to our canoe. 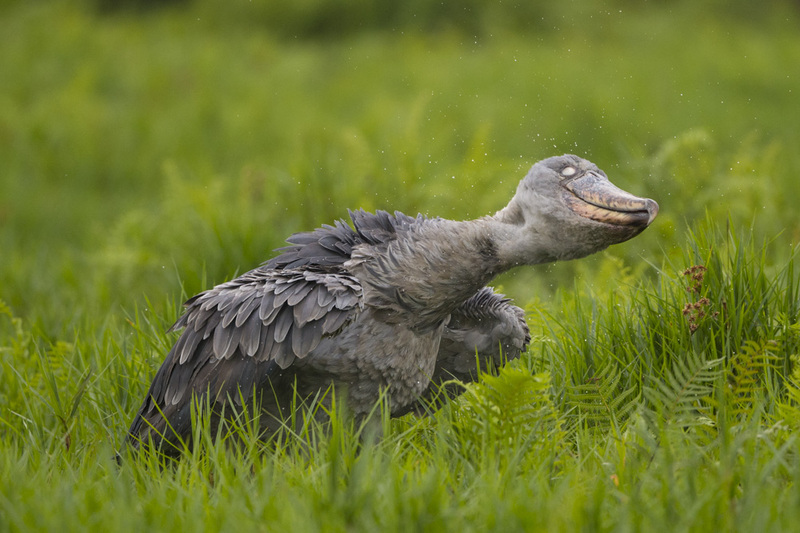 And then a couple of great opportunities to capture some flying shots of this prehistoric looking bird. 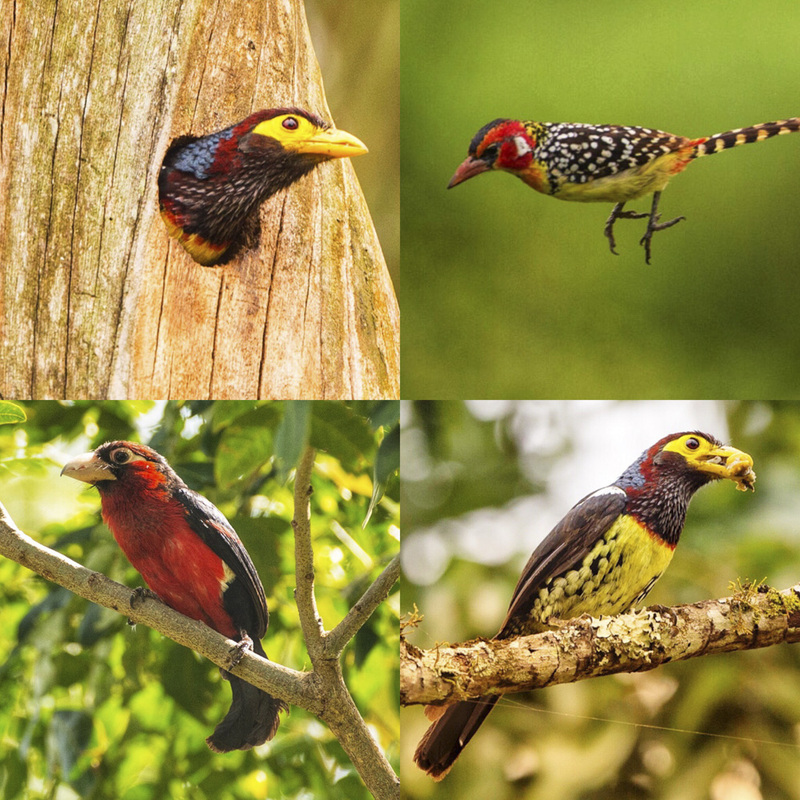 With over 1100 bird species Uganda has to be one of the greatest countries in the whole world for birding and in total we saw well in excess of a hundred species on this trip including a few different Barbet species in just one morning in Bigodi. 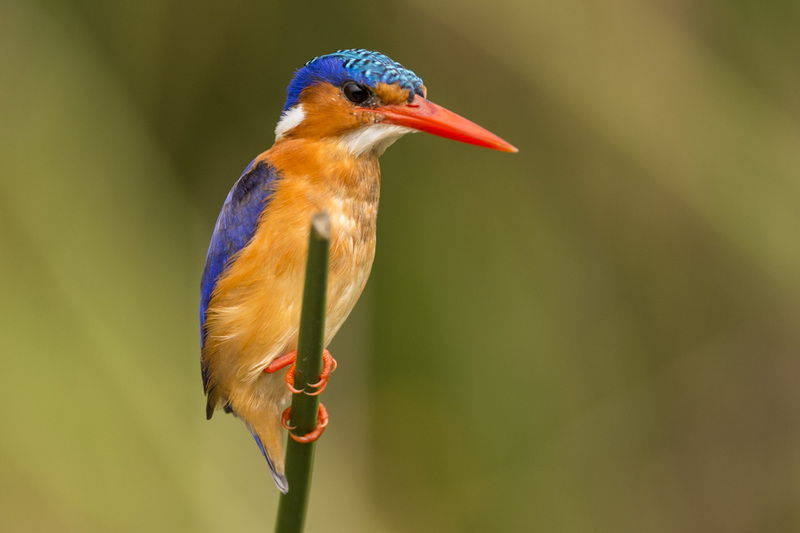 I’ve put a few more bird photos taken in Uganda here. 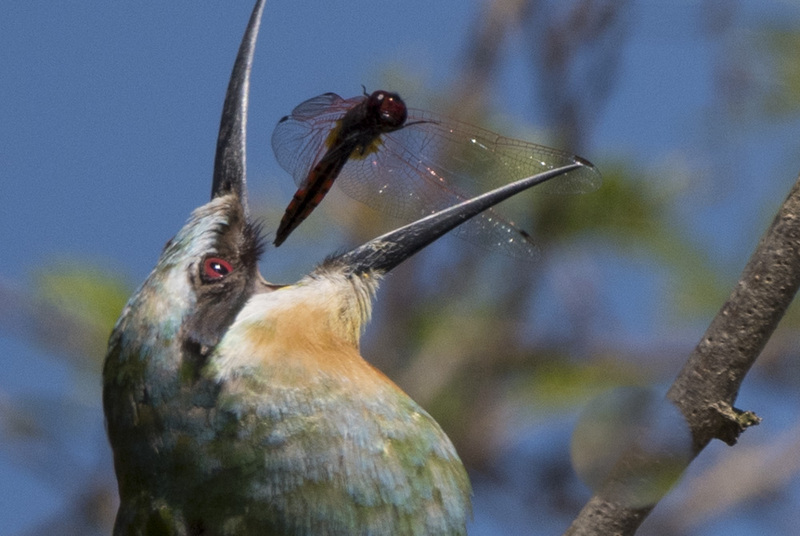 A Blue cheeked Bee-Eater in Botanical gardens, Entebbe. 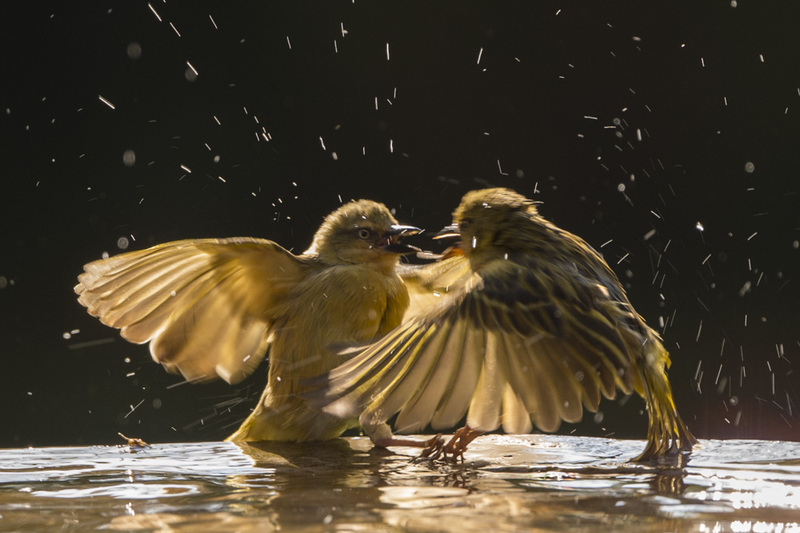 And a couple of Weavers having a squabble in the bird bath at one of our lodges. 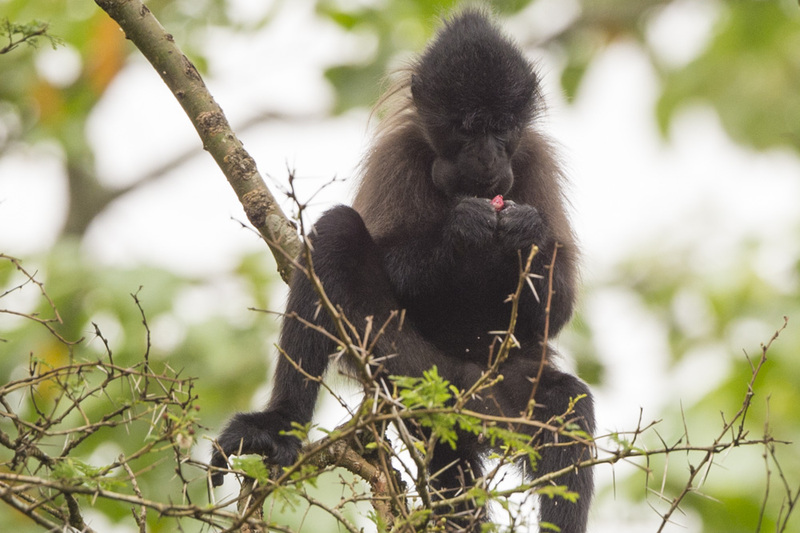 Along with chimpanzees and mountain gorillas, Uganda is also a haven for several other primate species. I’ll finish with a few shots of these taken on this trip. 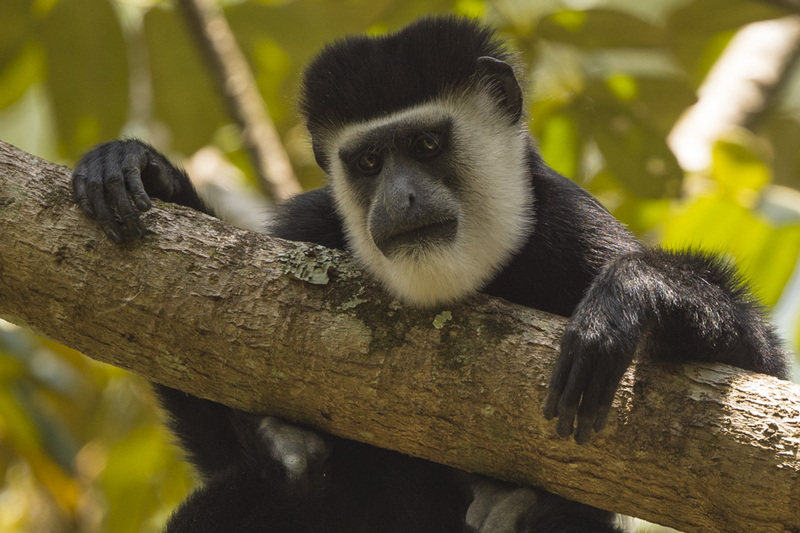 A Black and White Colobus monkey chilling out near our lodge in Kibale forest. 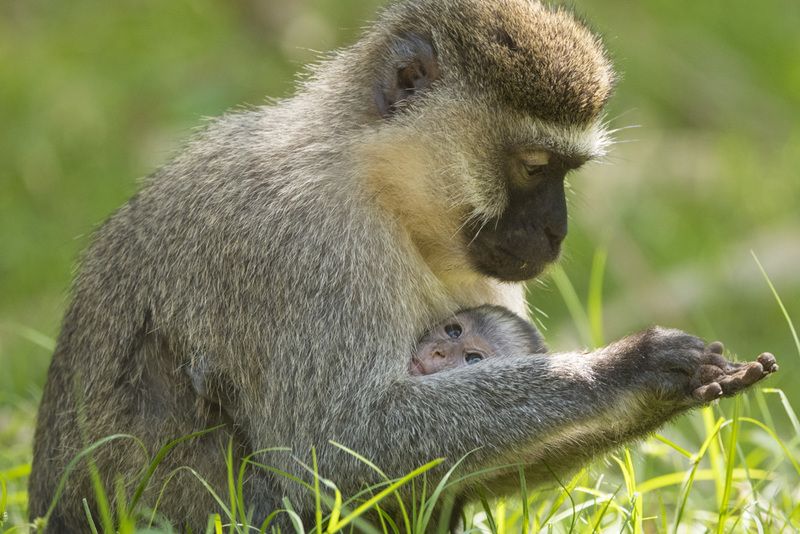 Mum and baby Vervet monkey in the Botanical gardens, Entebbe. 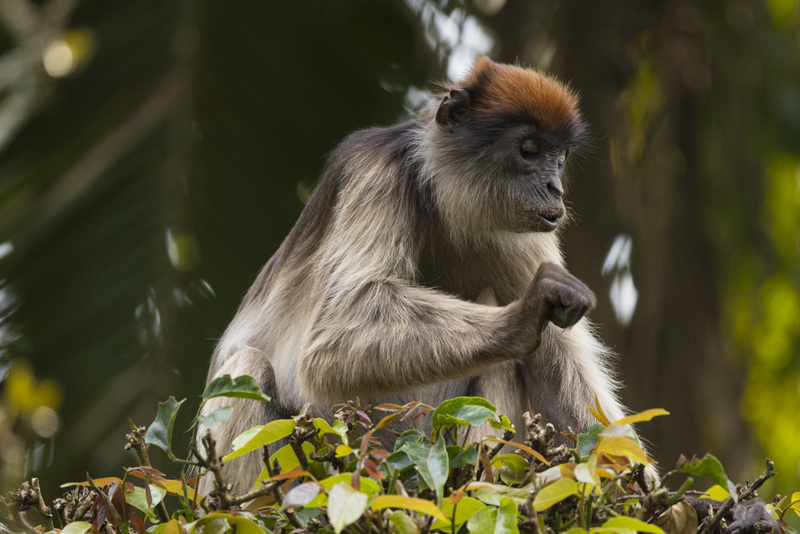 A Red Colobus monkey in Kibale forest. 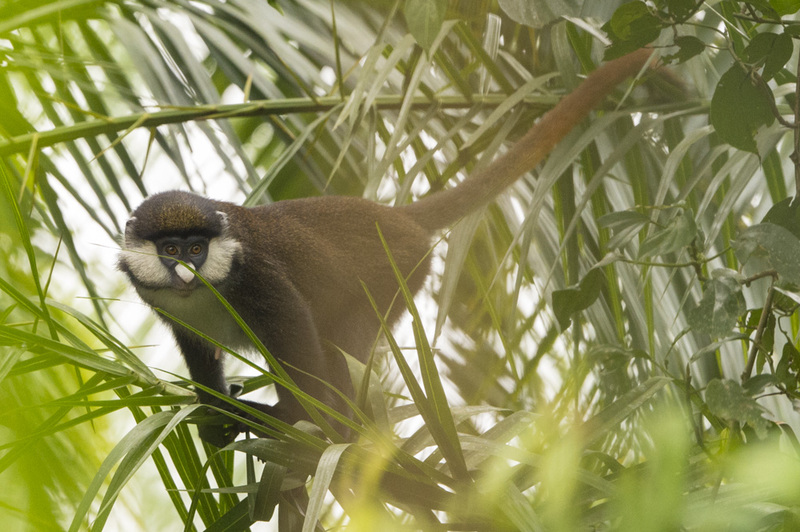 Along with a Red tailed (above) and a Grey cheeked Mangabey (below). 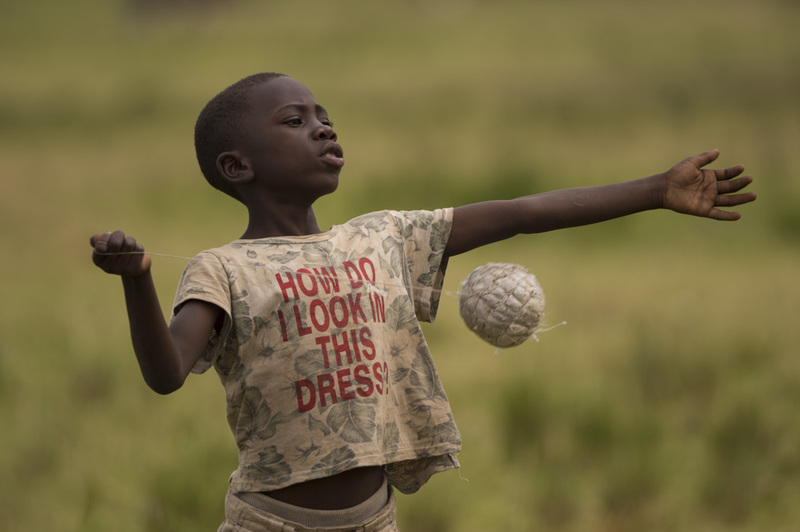 About to leave the land of internet for a couple of days so here’s a shot of Chelsea’s new centre forward. He’s definitely an improvement on the current crop although I’m not 100% sure about the new away strip.